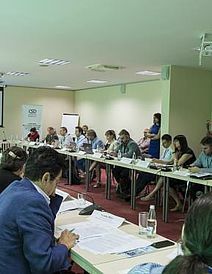 Presentation of Ms. Daniela Todorova "Bulgarian exprience in the re-use of conficated criminal assets"
The Social Reuse of Confiscated Assets in the EU MSs"
On 11 July 2014, the Center for the Study of Democracy held a public discussion on "Management and disposal of seized and confiscated criminal assets in EU countries". 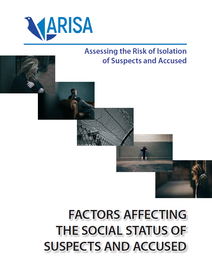 The aim of the discussion was to review the current state of play, significance and recent developments in this field. 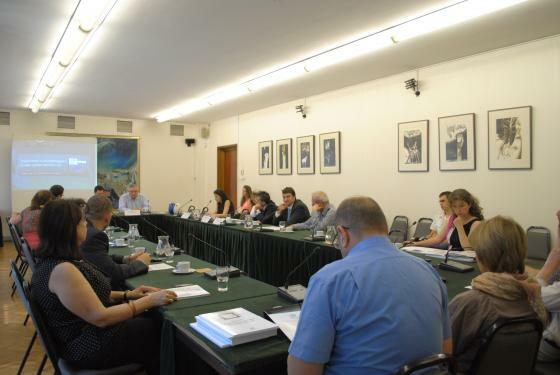 In his opening remarks, Dr. Ognian Shentov, Chairman of the Board of the Center for the Study of Democracy emphasized that the idea of the event is to gather representatives of the main institutions involved in the process of administration and utilization of confiscated property. 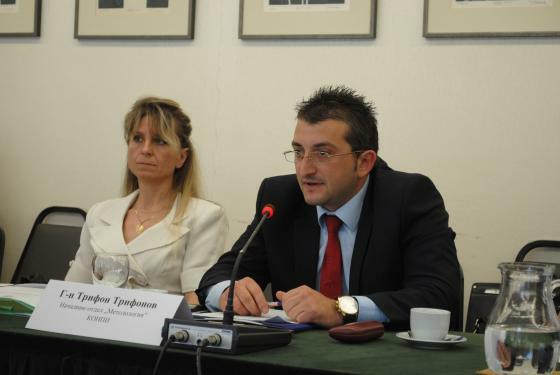 Mr. Trifon Trifonov, head of the "Methodology" department in the Commission for forfeiture of criminal assets, presented the experience of the institution in the management of frozen property. 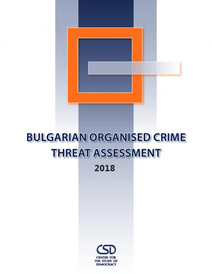 He elaborated on the legal framework on freezing and forfeiture of criminal assets in Bulgaria and the powers of the Commission in this regard. Mr. Trifonov paid special attention to the Law on Forfeiture in Favour of the State of Illegally Acquired Assets, which provides for a special register indended to inform all other competent institutions on the restrain measures imposed by the Commission. Ms. Vania Nestorova, prosecutor at the Supreme Prosecutor's Office of Cassation, presented the role of the Office in the process of freezing and forfeiture of criminal assets for the benefit of the state. In the legal context of Criminal Procedure Code, Ms. Nestorova made an important comparison between „seizure” and “forfeiture of property” for the benefit of the state. She also contemplated on the role of the Interinstitutional Council for Management of Confiscated Property, which has been recently established under the Law on Forfeiture in Favour of the State of Illegally Acquired Assets and was intended to optimize the process of managing confiscated assets. 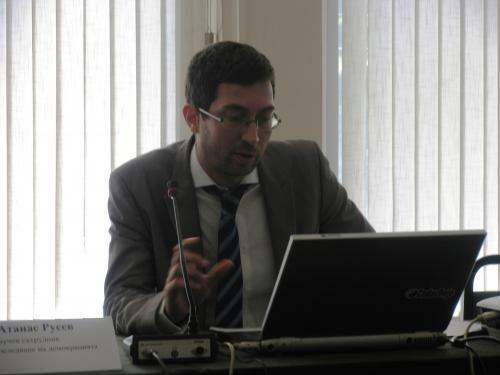 Dr. Atanas Rusev, Research Fellow at the “Security" Program, presented the results of a study on the practices in managing of seized and confiscated property in the 28 EU Member States. 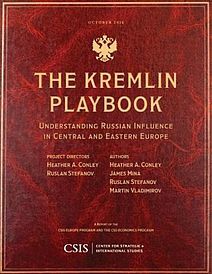 The study had been conducted by the Center for the Study of Democracy in partnership with the University of Palermo. Dr. Rusev reviewed the main problem areas in the process of management and disposal of confiscated assets and discussed the best practices to address them. 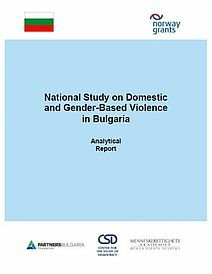 Based on the results of the study, Dr. Rusev suggested recommendations for optimisations in the process of administration and utilisation of confiscated property in Bulgaria. 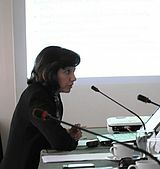 Ms. Alessia Ceresa, representative of the University of Palermo, examined the two main approaches in the reuse of confiscated property for social purposes - the direct re-use of confiscated assets, and the use of the proceeds from the sale of confiscated property for public and social objectives. 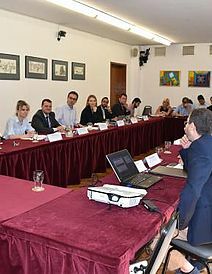 Ms. Ceresa presented the best practices in several European countries - Belgium, Italy, Luxembourg, Spain and the UK. Ms. Daniela Todorova, Head of "Governmental claims" at the Sofia Territorial Department of the National Revenue Agency, commented on the experience and practices of the Agency in regards to the disposal of confiscated property. After presenting the general legal framework and powers of the NRA, she focused on the existing specific procedures for utilisation of confiscated criminal property. 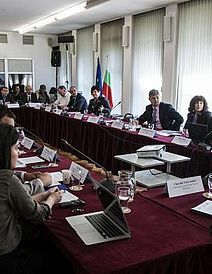 In conslucion, Ms. Daniela Todorova highlighted the various practical problems that arise with the disposal of the confiscated assets in Bulgaria. 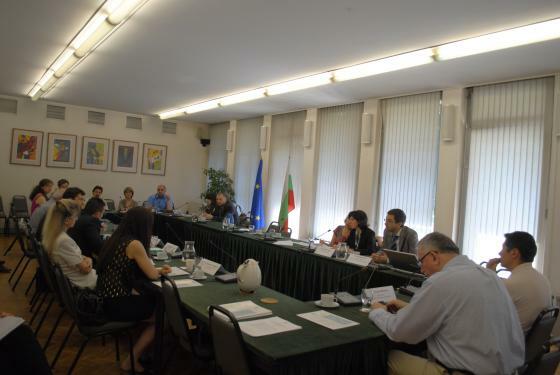 During the ensuing discussion, Ms. Alessia Ceresa elaborated on the Italian experience in the administration and utilisation of confiscated assets abroad and the possibilities to transfer this experience to Bulgaria. 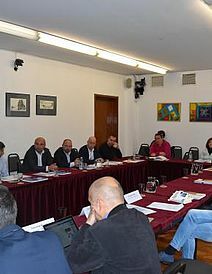 Presentation of Mr. Atanas Rusev "Management and disposal of confiscated assets in the European Union"
Participants in the public discussion "Management and disposal of seized and confiscated criminal assets in EU countries"